Face your worst nightmare in this thrilling Hidden Object adventure! You’re on your way to your new home when a sudden car accident knocks you out cold. When you come to, you find that your daughter’s gone missing and the only thing around is the abandoned city of Gray Falls! What’s hiding in this little ghost town, and can you find your daughter before something bad happens? You’ll have to dive deep into this town’s past and a secret research project if you’re going to rescue Maya and make it home! Enjoyed this game Very Much! Storyline was uniquely put together, with lot’s of visual effects. Character voiceovers were believable and good. Hidden object scenes were not only interactive, but cleverly done. Puzzles and collectibles also a plus. I thought the developer did a Great job in this series, as there was a whole lot to see and take in & plan your next move. Experienced no glitches and clear graphics, that were fascinating and original. Highly recommend buying this game, if you want to have some fun, mystery and adventure. P.S. 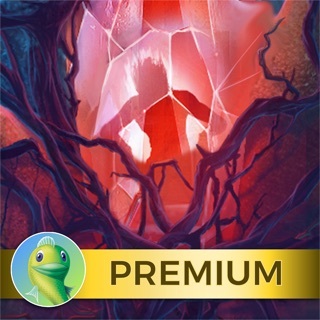 Fellow gamers: Artifex Mundi released their new game today in the App Store under their website. Happy 😃 gaming to all!!! 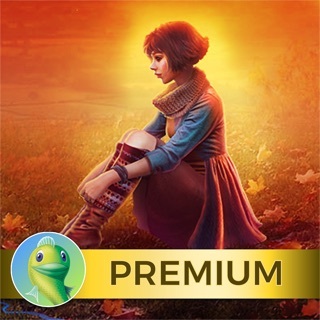 Can’t wait to see what we get next from Big Fish 🐠 Really was disgusted that we got shorted a game last week on Wednesday - I wouldn’t mind a holiday sale, however when Big Fish eliminates a New Release due to a upcoming Holiday, that is not right for their regular customers who already have purchased their older sale games. Everyone who agrees needs to express this to Big Fish and just possibly we might see a change. Reviews & Voices are to be heard and acknowledged. I just started playing the game, but no where can you access the collectibles or the flowers collection? The only way to do that is to catch the pop out when you get one? There is a map but no collectibles or flowers. Second issue is general to all big games now, way too many pop up ads. Every time you start a game there is a new sale or check out a new game. It use to be just one but now there is at least two and sometimes three. It is so annoying. $7 is a lot for a game, you should not have to deal with the ads. I enjoy the Surface series, so i was excited to play this game. It was a great story. Made me sad, happy and in between. Some scenes were a bit dark, but i think thats why i enjoyed it more. They stuck to the true series with flowers. Collectibles were also available. No glitches and enjoyed the erie soundtrack. This one is a must!